If this Super Creamy Banana Ice Cream does not remind you of the old skool Wall's Ice Cream we had back in the 80s, I don't know what will. I wonder why they discontinued that ice cream. It was my favourite thing to have when ever we went on an outing in those days. Especially the march pasts at Polo Park or M. I. Okpara Square in Enugu. Chai ooo! This super creamy banana ice cream is very easy to repare. You do not need any ice cream machines to do it. All you need is a blender and a working freezer. Click here to buy in the USA | Click here to buy in the UK. For best results, the bananas must but very ripe but still firm. Peak Milk is what makes this ice cream super creamy. It also add its unique flavour to this ice cream. By small party cup, I mean that small cup that is used for drinks at parties. See the image below. Whole milk is 100 percent full fat milk. If you do not have whole milk, use soya milk. The exact quantity of whole milk you will need depends on the size of your bananas. 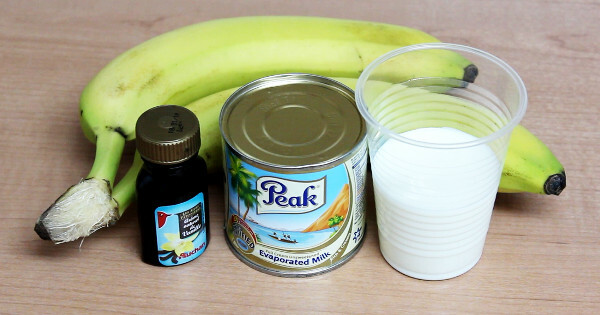 For the size of bananas I used in the video below, I used half a small party cup of whole milk. Vanilla extract can be purchased from any shop that sells bakery ingredients. Peel, cut up the bananas and put in a blender. When the mix is well blender, continue to run the blender for 2 minutes more. This is to ensure that everything is well churned and creamy! Pour the mix into popsicle molds. If you do not have a popsicle mold, pour into a bowl. Plave the poscicle mold or bowl in the freezer and leave it there overnight. The next day, remove the ice cream from the molds and enjoy! If you used a bowl, bring it out from the freezer and leave the bowl on a table for 5 minutes, then scoop the ice cream into cups and enjoy. 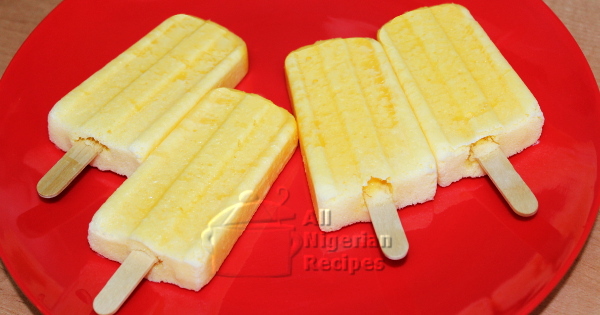 This ice cream is perfect for this hot weather in Lagos, Nigeria right now.